This Tuesday, Tom and I joined a team of volunteers to tackle some of the invasive plant species at Gordon Park Scenic Reserve, Whanganui. Whilst we were there, we came across a clutch of skink eggs and a number of skinks basking in the sun in a newly-planted area. 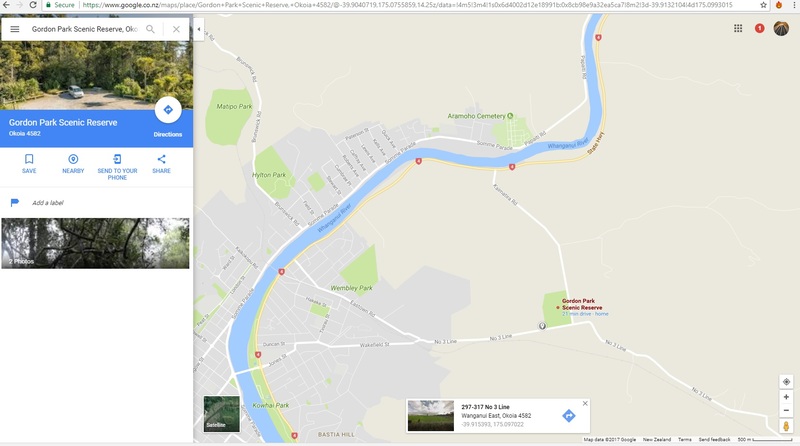 Gordon Park Scenic Reserve is located close to Whanganui City on the corner of Kaimatira Road and No.3 Line to the east of State Highway 4. It is a small reserve of just 14.5 hectares surrounded by farmland. Although it is small, it is very special because it is a sample of the lowland forest that used to be common in the area. Whilst walking back through an area which had recently been planted just on the edge of Gordon Park, we noticed a number of skinks scurrying away. They had been basking on and under the carpet tiles that are used to suppress weeds growing around the newly planted vegetation. We looked under a number of these tiles, much like the survey method we use in the UK for finding and capturing amphibians/reptiles. Some of the skinks were hiding under the tiles, and we managed to catch a couple. We also uncovered a clutch of skink eggs. Australian Plague Skink or Native New Zealand Skink? Along with the majority of the world’s skinks, the invasive plague skink is oviparious, meaning that it lays eggs. All but one of New Zealand’s native species of lizard are viviparous, meaning they give birth to live young. New Zealand’s one native lizard that is oviparous, the egg-laying skink (Oligosoma suteri), currently only lives on New Zealand’s northern offshore islands. So, if you come across reptile eggs and you’re not on an island up north, you will have almost certainly found a clutch of plague skink eggs. Does it have one or two scales on top of its head? If you are able to look at the top of the skink’s head, you can tell whether or not it is a New Zealand native by its scale patterns. In the Department of Conservation’s illustration below, the identifying frontoparietal scales are marked in red. New Zealand’s native skinks all have two frontoparietal scales, whereas the plague skink has one larger scale. You can see from our photo on the right that the individual we caught is a plague skink. The plague skink, previously referred to as the rainbow skink, is an invasive species from Australia. Plague skinks first appeared in Auckland during the 1960s. They were most likely introduced accidentally in freight and cargo. Since their arrival, they have been steadily spreading and are now found from Northland to Waikato and the Bay of Plenty, with outlying populations in Whanganui, Palmerston North and Foxton Beach. There is also a population on Aotea/Great Barrier Island. Currently, there are no plague skinks in the South Island. Why are they a threat? Plague skinks reproduce rapidly. They can lay up to eight eggs three times per year. This is more than five times as fast as most native New Zealand lizards. Plague skinks also mature in less than half the time of our natives. Many New Zealand skinks are long lived and only breed once per year at most. Some don’t even start breeding until they are about five years old! Because of this, plague skinks can reach high population densities in a short amount time. They then compete with native lizards and other native fauna for food and habitat. If you find plague skinks, especially if you find them in locations where they have not yet been observed, notify the Department of Conservation by calling their 24 hour hotline 0800 DOC HOT (0800 362 468) or MPI Biosecurity 0800 809 966. You can confirm these phone numbers here at the end of the DOC article. Take a photo of the skink if you can. If you are in an area where plague skinks are known to be, and you plan on moving any equipment or goods to an area where they are not yet found, check everything thoroughly first. They are especially fond of potting-mix in potted plants, so make sure you check for skinks and their eggs when moving these plants also. Interesting post! It is a dilemma with invasive species. In UK our native red squirrel is severely under threat from the invasive grey squirrel, now formally recognised as a pest. Thanks, Helen! It really is a dilemma. Once these invasive species have established themselves, it’s extremely difficult to control/remove them. New Zealand has such a hard time with invasive species, too. So many of our native species have already become extinct or are on the brink of extinction. Without pest control, even more species would follow.